- Convert your low cost router into a precision machine! Based on the ER20 Collet / Nut architecture, the Think Tinker family of precision collets and nuts was designed to bring the precision and flexibility of expensive high frequency spindles to low-cost, consumer and professional grade routers. Precision collets provide for lower noise, longer tool life, more accurate cutting and increased spindle bearing life. 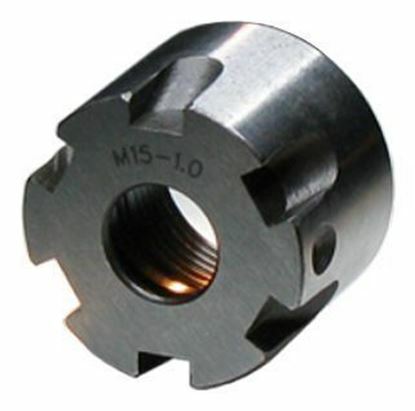 The PreciseBits collets nuts offer improved collet centering and shank clamping. They feature a snap-together design and eccentric extraction ring that prevents collets from sticking or binding in the tapered spindle bore. Tool removal is consistently easy. 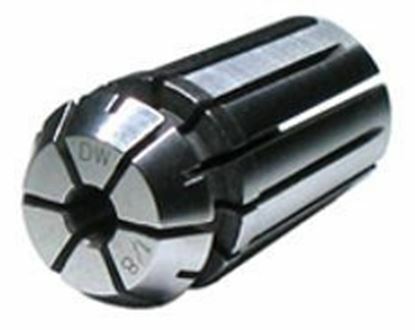 The internal bore of each collet is preloaded to lightly grip the shank of a bit when it is inserted, preventing tools from falling out or shifting while the nut is being tightened. Please read Working with ER Nuts and Collets. The Porter Cable is a popular handheld router that is a good choice for small router tables. The next tabs show the range of Porter Cable compatible precision collet kits. Please make your selection in the drop down box above. Compatible with: Dewalt 611 and Porter-Cable 450 routers. These collets are now available in three grades: PG, UP, and EP. Each collet is individually tested for run out and graded. These collets MUST be used with the PB-DEPG-0611-NUT which is included in the kits. They WILL NOT work with the original Dewalt nut.